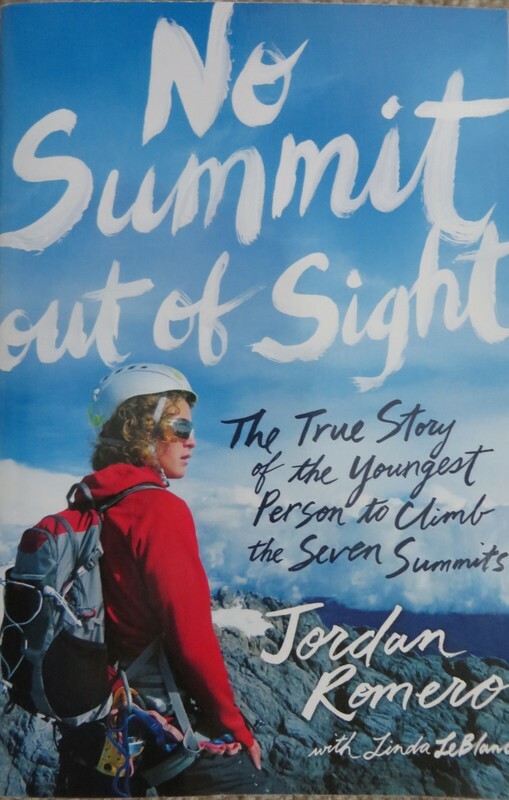 Jordan's autobiography tells about the challenges involved as he climbed the tallest mountain on each continent, and was the youngest person in the world to do it. From training and physical obstacles to weather and sometimes even political challenges, Jordan overcame a number of things to reach his goal. This is a true story of sheer determination. This is an inspiring story, especially for young people to see another young person so committed to reach a challenging goal. The writing is very straightforward - almost a list of things that happened sequentially - so there's not a lot of reflection, description, or character arc, but some readers will see that as a plus. It's a bit humbling, especially if your greatest adventure this week was trying a new restaurant.
" No Summit Out of Sight quote "